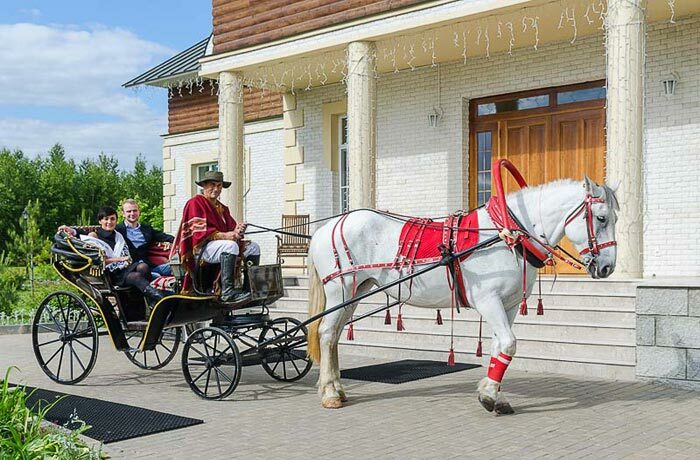 Farm in Potapovo is proud to offer you a romantic carriage ride in a white open carriage. 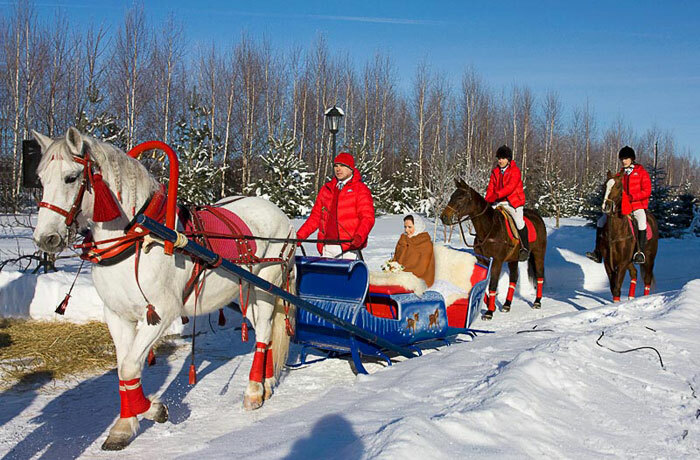 During the winter season we offer a fast ride on the white sparkling snow in a fancy sledge, decorated with satin and velvet. A romantic promenade will become a perfect surprise for a loved one, and will leave the most tender memories of your stay on the Farm. You can also go on a picnic on the grass or arrange a table in the open air. 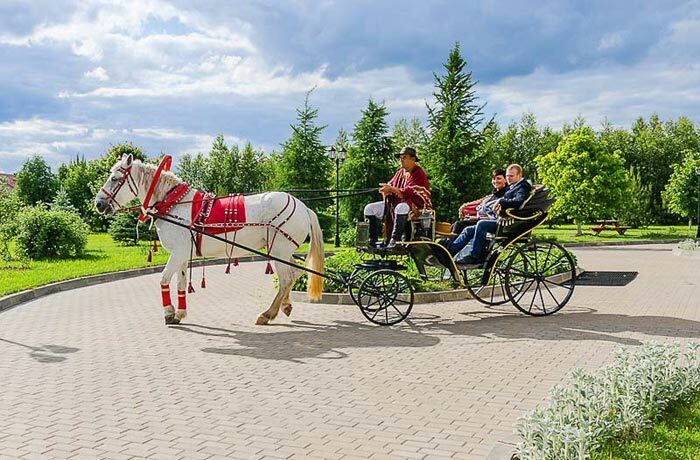 Carriage ride costs 5 000 rub. for 30 minutes.